>> Click for photos and highlights from the Pace Pitch Contest. In the Pace Pitch Contest, ten finalists will each have exactly three minutes to pitch an idea for a new business concept or social venture to a distinguished panel of judges and an enthusiastic audience. Keynote Speaker on Commercial Entrepreneurship: Steve Hindy, Co-Founder and President of The Brooklyn Brewery. Steve is also the co-author of Beer School: Bottling Success at the Brooklyn Brewery. Keynote Speaker on Social Entrepreneurship: Majora Carter, Founder and Executive Director of Sustainable South Bronx. Majora is a 2005 MacArthur Fellow (the "Genius Grant"). Soyfully Delicious: a hip, comfortable, vegetarian buffet style fast-food restaurant chain that will open in downtown New York City and will be the cheapest, friendliest, and healthiest place to go on a lunch break. Charging the flat rate of $4 per pound of food; Soyfully will also offer a laidback environment with sofas, free wireless and magazines. It will be the first completely vegetarian fast food chain in New York City leading to the potential to develop into a franchising opportunity. The Vegetarian, health food, and organic restaurant industry is most certainly in the growth stage. Therefore, there are not many competitors in this specific niche, entry barriers are low, and the potential for growth is very high. The target market for Vegetarian restaurants mostly consists of males and females in their early 20s to late 30s. These males and females are college students, college graduates, or upscale professionals. They are vegetarian, dieting, or health-conscious. They listen to underground music and are the first to know about the happening bars and clubs. They live in urban areas, rent apartments and have a mid-scale income. Those in this socio-demographic are progressive minded and liberal. (Claritas: My Best Segments Zip-Code lookup. Lifestage Segment 02: Young Achievers. http://www.claritas.com/mybestsegments/default.jsp 2005 Claritas. )To meet the progressive minds of our target, the vegetables will be purchased from local organic certified New York farms. Heather O'Shea will be the sole proprietor, in charge of all marketing functions. She will be a graduate of Pace University in January 2007 with a Bachelor's of Business Administration in both Marketing and Management. Her experience as promotions director at the radio station has given her leadership experience and has also taught her how to make contacts in an industry. Her internship experience in advertising firms has also taught her consumer behavior research and how to create effective advertising. Heather O'Shea is a full-time Pace University student who is graduating in January 2007. She is pursuing a dual BBA in Marketing with a concentration in Advertising and Promotions and Management with a concentration in Entrepreneurship. She is also the treasurer of the Pace Advertising club. Heather created her position as promotions manager at WPUB, Pace University Broadcasting. As promotions manager, she leads a team to pursue sales on air and in their monthly music and arts magazine, promote WPUB events, and set up public relations between promoters and the radio station. In addition, Heather spent the past summer as a media research analyst intern at Mediaedge:CIA where she researched consumer attitudes and media preferences for clients. She is currently a new business intern at Kirshenbaum Bond and partners where she assists account executives in pitching campaigns to possible new clients. Heather hopes one day to open a vegetarian restaurant in the New York City area. In her free time she likes to cook, knit, play the bass guitar, and ride her bike. Idea Storm Products, LLC is a new start-up company that invents games designed to inspire the imagination. Idea Storm's first product will be Yamodo™, an innovative drawing game that promises to inspire the imagination and great conversation. Yamodo is different from other games because it is not only outrageously fun, but focuses on creative collaboration instead of an individual winner. As an ice-breaker, the game's inviting design promises to have people talking in no time. It is also a must for family game night, and is even proving successful in educational settings. Yamodo is well protected, falling within copyright and trademark laws which make the game cost-effective to protect, and difficult to copy. The product is being tested in the gift, toy, and book markets. Initial feedback has been overwhelmingly positive and interest from Barnes & Noble bookstores has resulted in the product being tested online. Due to the game's inexpensive cost, the majority of the initial capital invested by Idea Storm will be used for trade shows, public relations, and start-up fees. Additional capital will be needed once Yamodo is accepted by one of the large retailers currently considering it including Target, Barnes & Noble, and Borders Books. Once accepted, short-term investments would be required to fulfill an order that would likely average 15,000 games. William (Bill) graduated from Virginia Tech with a bachelor's degree in industrial design and a concentration in business. Since then, he has enhanced his professional career by teaching design courses in Australia, establishing a product consultancy, and working for a variety of entrepreneurial companies. Bill is currently attending the Pace part-time MBA program for entrepreneurship and international business (expected graduation 2008), while continuing to work full-time as the Vice President of Olympia Sports - an apparel design company in Elmsford, NY. Bill's design background is tempered by a strong business and entrepreneurial drive that has allowed him to succeed in diverse roles including product design, graphic design, management, manufacturing, and sales. His adaptive and resourceful nature is enhanced by a hands-on approach to all aspects of the job. New York Loan Exchange is an online auction marketplace to facilitate lending and borrowing directly between individuals. We will act as intermediary cutting out financial institutions to allow people to get the best rates possible on loans. Borrowers can list their request for the loan and lenders can bid to buy it. The platform will also have the secondary markets where the lenders can sell the loans to other investors. We will service loans that will facilitate credit inquiries, disbursement of loans, accounting, collection and credit reporting services. There is a lot of inefficiency in the consumer lending market. The platform will be hosted online thus expanding the credit markets to reach low-income groups, rural areas and foreign countries. The main source of revenue will be from commission on trades executed on our platform. The borrowers will be charged 1% commission; the lenders and buyers of the loan in secondary market will be charged .5% commission on the loan amount. The online lending market is growing at high rate. Jim Bruene, editor of Online Banking Report, predicts that this niche industry will originate 124,000 loans totaling $978 million in 2010. Our direct competitor, Prosper.com claims to have originated $18 million loan in the 9 months of their operations to date. We expect to originate loans worth $250 million on our platform in the year 2010. We have a patent pending on the platform that will give us a competitive edge. Among other areas, we will continue to innovate in advisory services, tools for pre and post trade analysis and tools to safeguard against fraud. It is critical to our success that we comply with the concerned national and state laws in the highly regulated financial industry. 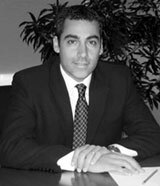 Anas has extensive experience in the financial industry. He has worked in Investment Banking as well as the Asset Management industry. He has worked with ABN Amro as the Product Controller of interest rate swap books. He has internship experience as an Operations Analyst at Morgan Stanley and as a Research Analyst at Knott Partners, a value oriented investment fund. Anas has also consulted with Brand One, an early stage company helping with the vision and business plan development. Anas holds a Bachelor of Science degree from Coastal Carolina University with a double major in Finance and Marketing. Currently, he is enrolled full time in Master of Science in Investment Management program at Pace University, NY. He is also pursuing a part time Certificate Program in Investment Banking from New York University. Rethos is a socially oriented media company specializing in integrated cause marketing that focuses on social and environmental issues to unite and engage socially responsible corporations, non-profit organizations, and 18-34 year olds worldwide. Rethos has a resolute mission of offering a global platform for solution driven change. Rethos offers a social networking platform and media portal that unites like-minded individuals and organizations to generate solutions to urgent social and environmental issues. As a platform for change, Rethos.com enables users to receive comprehensive information, unite with allies who share a common passion and purpose, and take urgently needed action. rethos n. A revision of fundamental beliefs or attitudes; a shift in focus and objective for a culture or era. "Have you recently ruminated on the litany of social and environmental problems facing our world and wondered, as a society, how we manage such a paralysis towards meaningful change? Climate change, environmental degradation, poverty, hunger, armed conflict, injustice - yet the status quo persists. You are not alone. Rethos.com is a social networking Web site and media portal created by and for those who refuse to stand by. Its mission is to create an online platform from which individuals, non-profit organizations and social responsible companies can unite to realize a world that is socially just, environmentally sustainable and free of armed conflict. Rethos.com's members believe that as consumers and global citizens, we have tremendous power to effect change. Alex Salzman began his career as an entrepreneur at the age of 17 by approaching Toronto based entertainment company Sights and Sounds with a strategy to help them win national sponsorships. The company successfully implemented the plan and the experience afforded him valuable insight into youth marketing and corporate event sponsorship. Shortly thereafter, Alex organized and successfully executed a charity bicycle tour, "The Vancouver to Toronto Ride For Youth". Instigating the project afforded him valuable people and project management skills, as well as opened his eyes to the power of youth to bring about social change. In 2004, Alex postponed his degree in behavioral economics at Princeton University to assist in the launch of TerraCycle Inc - a New Jersey based company producing the world's first product derived from and packaged in waste! Alex assumed the roll of Director of Product Development. After co-founding Blue Horizon Media in 2005, Alex returned to Princeton University to complete his degree. Chris Advansun is the essence of a social entrepreneur, having launched ventures in both the for-profit and non-profit space. In 2001, Chris founded SmartPages, a company specializing in executing product-based fundraising campaigns for Ottawa based charities addressing poverty. This valuable experience lead him to work closely with such non-profit organizations as The Shepherds of good Hope and The Kanata Food Cupboard, and manage advertising clients and distribution partners including GoodLife Fitness, Pizza Pizza and Chapters Indigo. In developing SmartPages, Chris realized a commercial enterprise with a social mission, whose success depended on that of his non-profit clients. In 2002, Chris launched Our Changing Planet, a public education campaign communicating a science-based analysis of climate change to Ottawa secondary school students in interactive workshops. Co-founding Blue Horizon Media answers to his personal desire to use his expertise in communication and entrepreneurship to make a significant social contribution. 360º Disability Solutions, Inc.'s mission is to provide IT Support and Solutions to individuals with significant disabilities and functional limitations. 360 Technicians will interview the prospective clients, analyze their technical needs, design the computer to fit their disability, and later provide remote or in-house technical support. If the client does not have a computer 360 will provide one through the PC Sponsorship Program. 360's focus is to provide these programs and services to children, adults, veterans and senior citizens with disabilities in the NYC area for a no or a small fee, which will be income contingent. This is based on the fact that approximately of the 1.4 million people that are disabled in NYC, hundreds of thousands are in poverty. 360's services will expand the depth and scope of options available, leading to increased social mobility and more productive, independent lives. 360 aims to proactively affect social change and combat stigmas and stereotypes through a technology-based approach. 360 is also working with the Mayor's Office with People with Disabilities in developing a plan to assist Commissioner Mathew Sapolin with people that call his office for assistance. The organization will focus on traditional ways of how nonprofits raise money, but also will develop creative and diverse streams of revenue through services to other organizations that are also looking to assist individuals with disabilities, as well as developing products. 360 measure of success is defined by improved quality of life as seen through increased access to products and services, increased independence, and improved access to information and communication. Success can also be seen through improved earning potential, increased income, or the development of marketable skills. 360 will conduct quarterly surveys to determine the effectiveness of services and programs as well as solicit feedback to continuously improve 360 offerings and develop new programs. Dwayne Sykes held a position at JPMorgan Chase as a Sr. System Analyst and left to start a nonprofit organization. He earned a BS in Personal Computer Studying from Pace University in May 2006. Dwayne will earn an MBA with a concentration in Nonprofit Management from Pace in 2007. He has attended nonprofit seminars and workshops at the Foundation Center and Lawyer Alliance of NY to assist with his development as he transitions himself from the corporate to the nonprofit sector. Dwayne worked in the technology field for 17 years with major organizations like Morgan Guaranty Trust, Coopers and Lybrand, F.W. Woolworth, Philip Morris, Brown Brothers and Harriman. He received 27 JPMorgan Chase Employee Reorganization Awards and also won an award for his technical leadership and diligent work on 9/11 by implementing the Disaster Recovery Plan, which secured them from a negative financial impact. True entrepreneurs share the realization that success is a perpetual goal. We are born with the belief that we should never stop thinking, creating, and innovating. To accomplish this aim, even the smartest and most connected individuals are constantly searching for new ideas and passionate people to work with on new concepts. Created as a members club in New York City, ThoughtLoft provides a comfortable and energizing atmosphere where members can think creatively, network with each other, and forge profitable new ventures. An open environment styled as a cross between a cozy coffee shop and a plush business club, including comfy chairs, calm lighting, and a relaxing ambiance, that will allow members to work individually or with each other on new and innovative concepts. Amenities galore, including conference rooms, mail boxes, pastries & wrapped sandwiches, periodicals, lockers, concierge services, and complementary coffee & wireless internet, that make the workday as hassle-free and relaxing as possible. Practical business resources, including complementary business solutions, advice, and services provided by ThoughtLoft and our partners. A constant inflow of ideas, including new technologies and business concepts - from surrounding companies and b-schools - that are in need of entrepreneurial leadership and financing. Remote Connect - will allow members to view upcoming events, search for other members, and get in touch, anywhere in the world, at any time through our exclusive online service. Party at the Loft - our answer to dull networking events - where members can meet new contacts and share ideas while enjoying great music and drinks in an upbeat setting. Justin has over five years of entrepreneurial and business management experience, including the startup of Bluevolume, a design and print firm in Dallas, Texas. Justin concentrated in International Business and Entrepreneurship at Washington University in St. Louis freshman year before transferring to Harvard University to be closer to the expected first location of ThoughtLoft, which is planned to open in NYC November of 2007. To accomplish this goal, he plans to take a temporary leave of absence from Harvard for a year, and return fall of 2008 to spend his last 2 years on campus. The Satya Initiative will facilitate weekly e-mail exchanges between Israeli and Palestinian students. Structured e-mail correspondence would foster open, honest dialogue and develop problem-solving skills. We would then expand the model to other conflict zones around the world. There are other organizations that have peaceful-coexistence initiatives between Israelis and Palestinians, and in other conflict zones around the world. However, because of security concerns and visa problems, the majority of these initiatives rely on infrequent face- to-face meetings. My approach, on the other hand, is a safe and reliable method of opening dialogue between two divided communities. E- mail communication will bring people together for a sustained period of time (every week for an entire school year). Using a rigorously designed curriculum, students will challenge each other, formulate persuasive arguments, and pose tough questions to their assigned peers. These positive weekly interactions will filter out and influence their family, friends and communities. Finally, at the end of the school year, the two groups of students will meet in-person for the first time to reflect on their year of correspondence and evaluate the program's effectiveness. The organization will be called "The Satya Initiative." Satya means "truth" in Sanskrit. It implies openness, honesty and fairness. Mahatma Gandhi used this term as part of his philosophy of non-violence. Gandhi believed in the inherent worth of dialogue with opponents, and the value of a sincere wish to understand their drives and motivations. On a practical level, students will learn that willingness to listen to another's point of view is largely dependent on reciprocity. In order to be heard by one's opponents, one must also be prepared to listen. Art Gillman graduated with a degree in Psychology from the University of Connecticut in 1992, and embarked on a nine year journey living abroad and working for a variety of organizations, primarily in the non-profit sector. Over this period, his varied roles included working as an English teacher in Taiwan; working as a journalist and in a TV camera crew in Costa Rica; volunteering in a homeless shelter for Mexican and Central American refugees on the border of Texas and Mexico; acting as a political tour guide for a U.S. NGO in Guatemala; and a period working on a kibbutz, studying Hebrew, and working for a human rights organization in Israel. 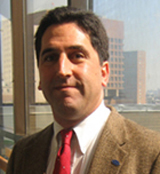 In 2002, he moved to New York City to work as a bilingual interviewer on two public health research studies. He currently lives in Brooklyn, New York, where he is developing a non-profit start-up. NomadSkiing, a skiing/snowboarding tourism company, is planning to build a community of skiers who like to travel, experience new resorts and slopes, meet new people, and have a good time. We ski the best slopes in the Northeast in the winter and South America in the summer. Skiing is known to be an expensive sport but we plan to offer affordable skiing. Using group rates we save around 25% off (depending on the resort) lift ticket prices. In addition to unbeatable prices on lift tickets, NomadSkiing offers a guide to where to stay, entertaining night time activities, the chance to become part of our vibrant community, and everything else our guests need during the NomadSkiing event that they choose to attend. NomadSkiing.com is the source for all scheduling information for the current season. The Web site shows a schedule of events. Events consist of trips to one of the skiing resorts. Our staff will welcome the guests, and provide guidance and information. They will benefit of a detailed schedule that will include skiing, dining, games, and socializing. While guests ski, our team will take photographs that will be available for everyone in the evening, at the hotel. Our trips will be 3 or 4 days long for groups of 25-30 people. Guests will reserve their spot on the Internet at nomadskiing.com. From there we will take care of their reservations, lift tickets, and providing them with a fun-filled schedule for the time they will be with us. We will be making revenue from advertising on our Web site, which should become very popular and from sponsors. Our sponsors will be listed on sweatshirts that we will give out to all guests along with other promotional material. Go to NomadSkiing.com and come chase the snow around the country. Catalin Stefanovici is a sophomore at Polytechnic University in Brooklyn, NY studying Computer Science. He was born in Romania and moved to New Jersey six years ago. He did a lot of programming and web design in his spare time. He also likes baseball, soccer, and skiing, which is how he came up with his idea for NomadSkiing. He has recently started working on the Web site for this business when he found out about the Pitch Contest. He also has a few other Web sites that he runs and updates. An interesting example is myfacemyblog.com, which is a portal for all bloggers. It is slowly gaining members and many people been leaving e-mails praising the site. It will shortly become very popular. He hopes you will find NomadSkiing very interesting and he is looking forward to seeing you on the slopes. 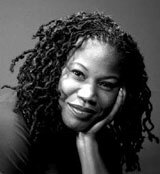 Majora Carter is founder and executive director of Sustainable South Bronx, an emergent community organization dedicated to the implementation of sustainable development projects for the South Bronx that are informed by the needs of the community and the values of environmental justice. Previously, she served as project director and then associate director of community restoration of the Point Community Development Corporation. Ms. Carter co-designed the proposal for CityRiver, a job-creation, economic and ecological development for the Bronx River. She also spearheaded the development of the Hunts Point Riverside Park, the first waterfront park on the Hunts Point peninsula in over sixty years. She is a board member of the NYC Environmental Justice Alliance and representative for the Organization of Waterfront Neighborhoods. Her numerous honors and awards include the 2002 NYC Council Women's History Month Pacesetter Award, the 2000 Environmental Advocate Award for Achievements in Community Development and the 1999 U.S. Environmental Protection Agency Environmental Quality Award. Majora is a life long resident of Hunts Point in the South Bronx, a graduate of PS 48, IS 74, the Bronx High School of Science, Wesleyan University (BA) and New York University (MFA). She is a 2005 MacArthur Fellow, 2002 Open Society Institute Community Fellow. 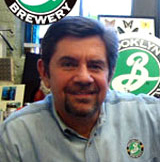 Steve Hindy is Chairman and President of The Brooklyn Brewery. A former journalist, he became interested in home-brewing while serving as a Beirut-based Middle East Correspondent for The Associated Press. He is Chair of the Brewers Association Board of Directors, a director of Brooklyn's Prospect Park Alliance and the Brooklyn Tourism Board. Hindy was Ernst & Young's Entrepreneur of the Year in 2004. He lives in Brooklyn with his wife, Ellen, principal of Intermediate School 89 in Manhattan. They have two children. With Tom Potter, Hindy co-authored Beer School: Bottling Success at the Brooklyn Brewery, Forward by NYC Mayor Michael Bloomberg, published by John Wiley & Sons. Steve has a master's of teaching English from Cornell. 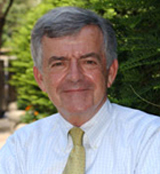 Tom Mulligan is a Relationship Manager in Business Banking, handling a diverse portfolio of customers in the New York City metropolitan area. Tom has been with the firm for 12 years serving in capacities within Corporate Trust, Middle Market Banking and Business Banking. 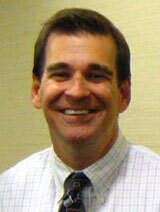 Tom completed the firm's Credit Training Program and has experience in lending to small and medium sized companies. Tom received his Bachelor of Science in Marketing from Niagara University. 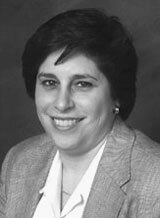 Bernie Siegel is a licensed CPA and a Certified Professional Coach. He is a graduate of one of the top empowerment coaching programs in the country, and, as a former Executive, has over two decades of real world experience helping to shape success in several well known, fast growing, public and private companies. As the CFO of TD Waterhouse, CFO and COO of Fleet Brokerage Services and CFO of Wit Capital Group, which he brought public, he had a leadership role in establishing them as industry leaders. In addition, he served as the CEO of an international venture capital firm, Yazam, Inc., which raised over $120 million in capital, investing in seed stage start-up companies around the globe. Having frequently served as a board member of many companies, he has helped to improve their performance and achieve their business objectives. Currently Bernie is devoting his time working primarily with executives and entrepreneurs in fast growing businesses as a professional business coach/consultant and a financial advisor. He has helped them to achieve results they may have thought weren't possible. Bernie has been a frequent speaker and panel member at various industry events, sharing his knowledge of what makes businesses successful. He was featured as a rising star of Silicon Alley in Red Hearing magazine. Bernie is an active member of the Village-Chelsea Chamber of Commerce, serving on the Membership Committee. He is also on the Board of the International Coaching Federation-NY, and a member of the Business Plan Presentation Committee of the MIT Enterprise Forum. Click to download the full Official Program for the Third Annual Pace Pitch Contest (PDF).